Two years ago we changed the changed the way we remediate students in Math. In our intermediate grades kids were getting frustrated. Some were significantly below grade level and missing key concepts necessary to move to the next level. We were trying to drag kids through a curriculum they were not ready for. Small group pull out wasn’t effective in closing the gap and students were getting more and more frustrated, so we decided to try something different. Math is different, so we had to think differently. When giving a lesson in reading, all students can get the same lesson as long as the have appropriate text. It’s the same with writing. We can offer the same lesson, but have different expectations for student output. In those contexts direct instruction to the entire class works because kids work at their own level. Math doesn’t work that way, a lesson on long division will be beyond those students who still don’t have the concept of place value, or still struggle with the concept of basic division. In Math class it’s almost impossible to give students work at their level and deliver a synchronous lesson. Students need work at their level and individual instruction. Thanks to the willingness and innovation of our student support team (Nancy Lomax and Kim Robb) we implemented a non-traditional model. We leveraged technology, specifically a program called Mathletics. Mathletics is computer based Math program where kids work at their level and then work through the curriculum at their own pace. Because it was new, but we had to answer questions. Both parents and district partners were a little concerned about screen time, and a Khan Academy type approach to Math. Things we needed to consider for sure. However, we feel really confident about what we are doing. 1) Because students are doing Math at their level, they have independence when practicing. That means that the teacher in the classroom is able to give direct instruction to those that need it, when they need it. The computer lab is alive with activity. In fact the teacher (and brains behind the whole operation) Kim Robb has cleared a section in the front of the lab where kids direct instruction away from their work stations. The lab is also full of manipulatives and individual whiteboards so kids can figure things out in different ways. They are not always in front of their computers. 2) Kim is constant contact with the people at Mathletics ensuring that their program aligns with the BC curriculum. If we are going all in, we need to ensure our students are meeting BC outcomes. When students complete a unit tests are usually done paper and pencil. You could walk into the class at any time and see kids working with manipulatives, writing tests, practicing or writing tests as they are learning at their own pace. 3) Since students are working at their level, for the first time many are feeling successful in Math. I don’t need to go into detail about the importance of a positive mindset and confidence on learning. All kids want to be successful, because success feels good. In fact, we have a number of kids start a test and then realize that they are not prepared. They will ask Kim if they can go back and relearn the section they are struggling with. To me this epitomizes the growth mindset – kids are no longer frustrated, they are empowered. 4) This year we have also included students who are working above grade level. We have a few kids who are not challenged in their regular classes, so we are able to keep them engaged by meeting them where they are too. 5) It works. The results have been fantastic. Almost all the kids are progressing at a rate greater than one grade level per year. What that means is they are closing the gap with their grade level peers. Do all of them leave our school working at Grade Level? No, but they are much much closer. Some of our students leave the program because they are caught up. Is Mathletics for every school? Our program is not so much about the technology, but rather the people using the technology. I would argue that the technology offers some advantages (meeting kids where they are, allows for timely instruction), but it is driven by the teacher. If Kim wasn’t dedicated to honing her practice and finding the best way to deliver instruction the program wouldn’t work – context matters. We are far from a finished product and we are continually tweaking the process, but the results speak for themselves and in the end it’s all about learning. This sounds very interesting! Intervention in Math can definitely be difficult. 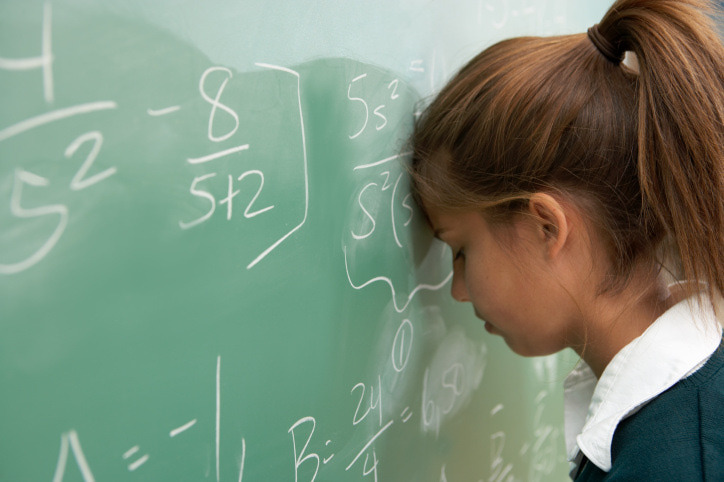 So often the LST teachers try to help students in Math by helping them with their class work, however, when students have gaps in knowledge and understanding, that kind of support does not really help them learn the basics to help them to progress to the level they need to be. It’s really just a band air approach. I’d love to hear more about this program you are using in your school and the actual results you have had. I’m a numbers girl! hahaha How many students have you had move through the program? Which grade levels do you focus on and how about the logistics of supervision and what not? So interesting, Darcy! Thanks for sharing! I have a teacher who has been using Mathletics with her class for a couple of years. I was interested to hear about your experience with it as an intervention tool. I didn’t know that it was being aligned with our BC Curriculum! Thanks to you and your team for collaborating with them to make that happen!